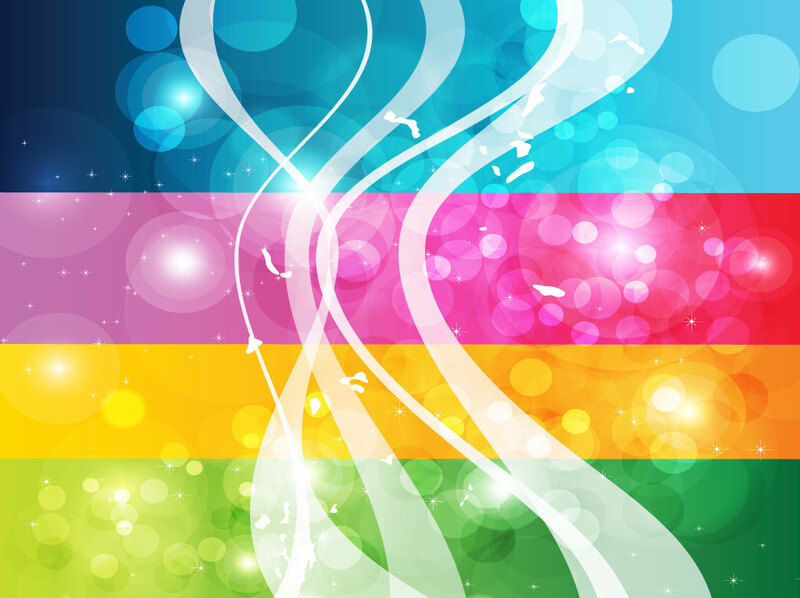 Colorful light show vector with multicolored light effects. Bright and colorful abstract vector design with rainbow gradients, glowing lights, stars and white swirls. Download this free backdrop as an eye catching setting for your artwork or use it as a vector bundle and separate the cool elements for clip art and custom scatter brushes. Tags: Energy, Lens, Light, Magical, Multicolored, Rainbow, Ribbons, Swirls.